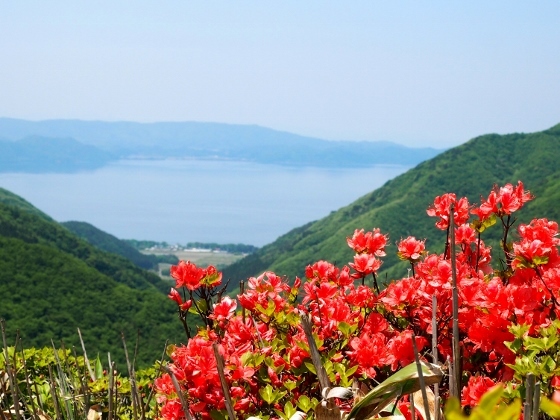 Photo above shows a view from Goreibitsu Pass with wild azalea and Lake Inawashiro. Wild azaleas have started to bloom around this area and it's almost the best time to see but still there are many buds left, so the best time will likely to continue 10 more days. 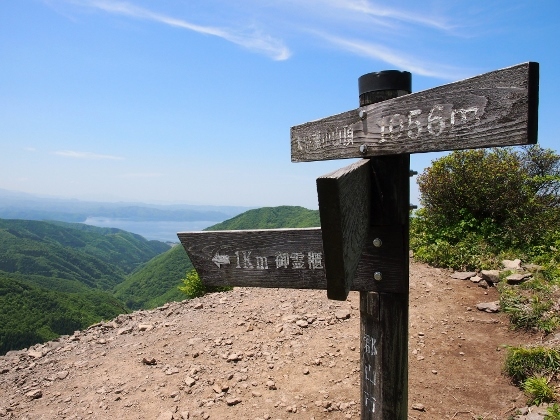 Photo above shows a trail starting from Goreibitsu Pass (873m) toward Mt. 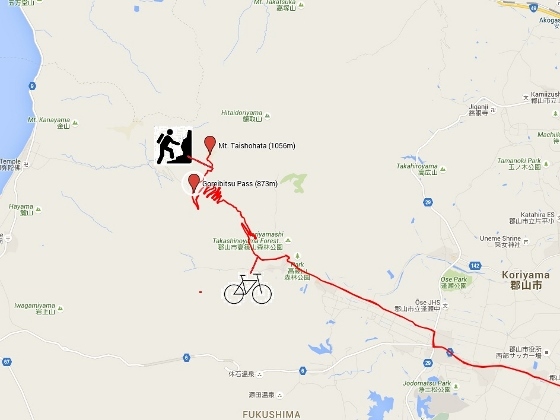 Taishohata (1056m) and further to Mt. Hitaitori. 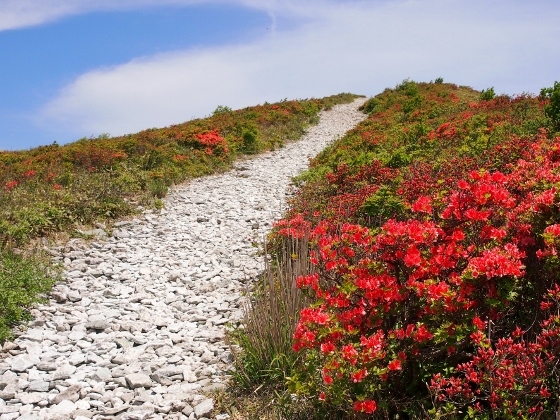 Many azaleas are blooming along the trail. 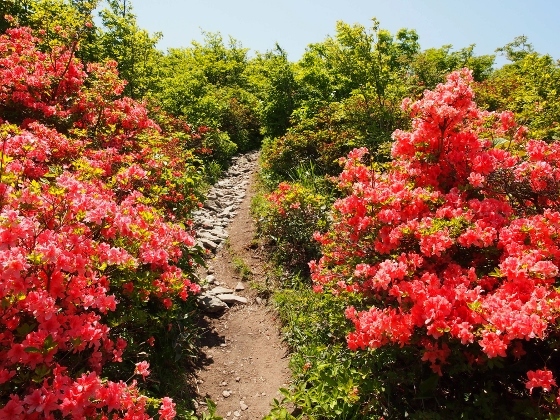 A typical scene along the mountain trail with wild azaleas as of today is shown above. I walked up and down along the trail about 1km before I arrived at the peak of Mt. Taishohata as shown above. 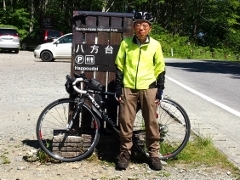 Near the peak of Mt. 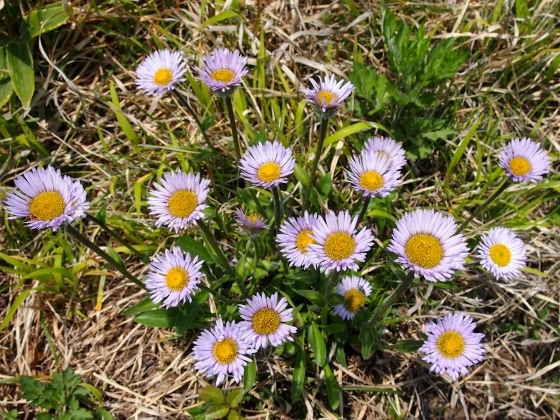 Taishohata I found many groups of Erigeron thunbergii or Azumagiku in Japanese.